Maltese athlete Julian Mangion has won a K1 bout by unanimous decision while representing Malta in Sicily. 16 year old Mangion, who trains with Team Noel, competed during the Evolution Fight event held in Rosolini on the 21st of January. He fought a K1 bout during which he dominated all the rounds, and subsequently won over his Italian adversary by the judges’ unanimous decision. Despite his young age, Mangion has a record of 21 fights with only two losses. During the same event Malta was also represented by 17 year old Justin Pace. Pace, who also trains with Team Noel, fought a K1 bout against an Italian athlete. Pace lost the first round but dominated the second one. Pace’s fight could have easily been declared a draw, but the Italian athlete ended up winning by a split decision. 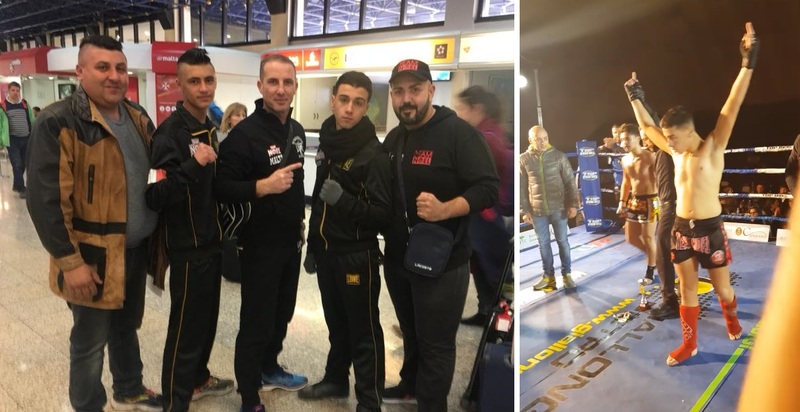 Master Noel Mercieca expressed his satisfaction with the two athletes’ performance, and said that he looks forward for more opportunities for young athletes to fight abroad.